It started in 2010 with a crate of figs, some fetuccine, butter and balsamic vinegar. The next thing they knew, they had spawned a community of food and illustrations around the word. Salli S. Swindell and her brother Nate Padavick of Studio SSS—were on vacation. They Draw and Cook first began as a printed book of illustrated recipes they’d give away to friends, family, and clients. Nate had the idea to invite other friends to contribute to the book. Weeks and months passed. While awaiting one submission for the book, Nate grew impatient. On a whim, he posted eight of the illustrated recipes to a blog he and Salli decided to brand They Draw and Cook. The site’s popularity has inspired Nate and Salli to think of fresh ideas to unite illustration and personal interests. The compiled a list of “They Draw and …” variations. Nate’s love of travel includes an interest in map design. The brother and sister added a map feature to their site to enable visitors to find other illustrators around the world. 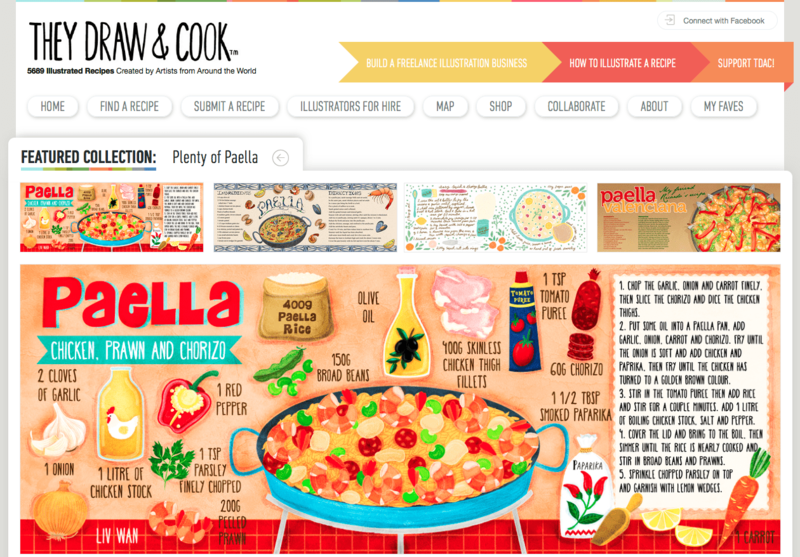 Then they created They Draw and Travel—a companion site that is just as fun as their food site. Read the rest here. It’s that time of year when it starts to get dark at 4:00 p.m., and the thought of starting a new project is more likely to incite a yawn than enthusiasm. Sometimes we just need a kick in the pants—or in this case, a good book or two to get those creative juices flowing. Step away from your monitor, pick up a pencil or pen, and have some fun with these drawing books from Quarto Books. Read the story here. 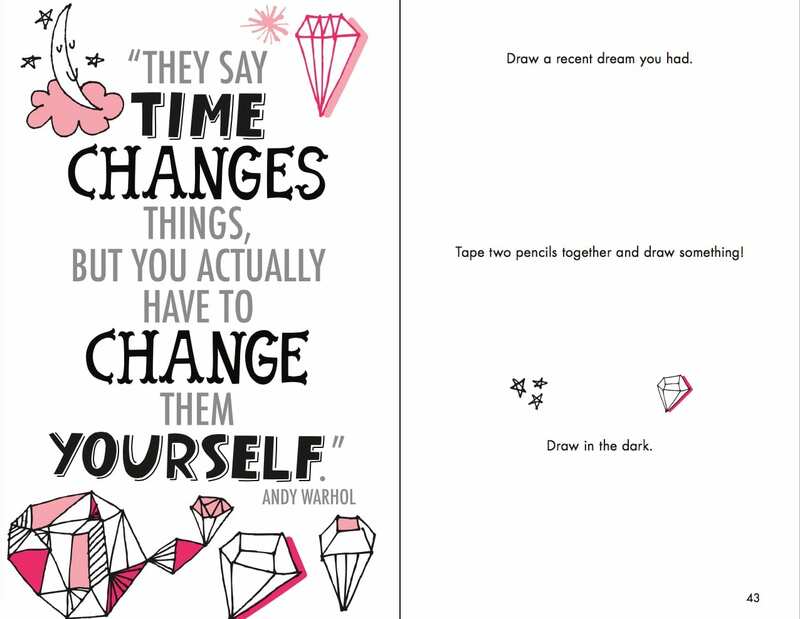 An exercise from Salli S. Swindell’s new book, Change Your Life One Doodle at a Time.